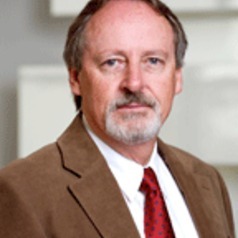 Stephen Dinham taught in government secondary schools in NSW before being appointed in 1989 to the University of Western Sydney where he held a number of positions including Head of the Department of Curriculum Studies, Associate Dean (Postgraduate) and Associate Professor. In 2002 he took up a position as Professor of Teacher Education, Pedagogy and Professional Development at the University of New England. In 2005 he took up the position of Professor of Educational Leadership and Pedagogy at the University of Wollongong. In 2007 he took up the position of Research Director of the Teaching, Learning and Leadership research program at the Australian Council for Educational Research. He joined the University of Melbourne at the beginning of 2011. He was Director of Learning and Teaching and Professor of Teacher Education (2011-2015) and has been Professor of Instructional Leadership and Associate Dean from 2016. He has conducted a wide range of research projects (77 funded) in the areas of educational leadership and change, effective pedagogy/quality teaching, student achievement, postgraduate supervision, professional teaching standards, teachers' professional development, middle-level leaders in schools, and teacher satisfaction, motivation and health. He has an extensive publication record (more than 350 publications) of books, book chapters, refereed journal articles, and articles in professional journals. He is a frequent presenter at international, national and state conferences (over 530 presentations) in countries such as the USA, Canada, England, New Zealand, Northern Ireland, Sweden, Scotland, Germany, Switzerland, Malaysia, Singapore, Spain, Sharjah and Crete as well as every Australian state and territory) and has conducted consultancies with a wide range of educational bodies nationally and internationally. He is a Past President of the NSW Branch of the Australian College of Educators (ACE) and chaired the Steering Committee responsible for the NSW Minister for Education and Training and ACE Quality Teaching Awards introduced in 2001 until 2007. In June 2002, he was appointed to the Interim Committee for the NSW Institute of Teachers and in August 2002, to the Commonwealth Review of Teaching and Teacher Education. In 2011 he was appointed to the Council of the Victorian Institute of Teaching (2011-16). He is immediate Past President of the Australian College of Educators and former Chair of the ACE Board (2014 -2015). He is a member of the Victorian Minister for Education Expert Panel for Schools (2015 - ). •	Richard von Weizsäcker Fellow, Robert Bosch Foundation, Germany (2014).